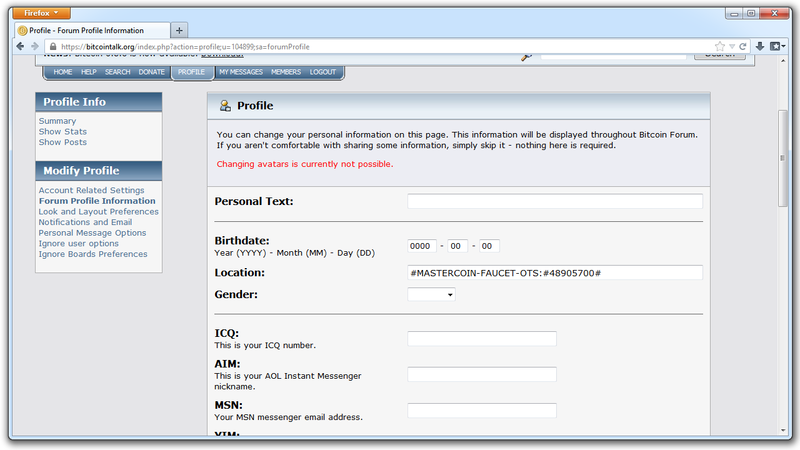 Awesome, you chose the authentication via bitcointalk.org! 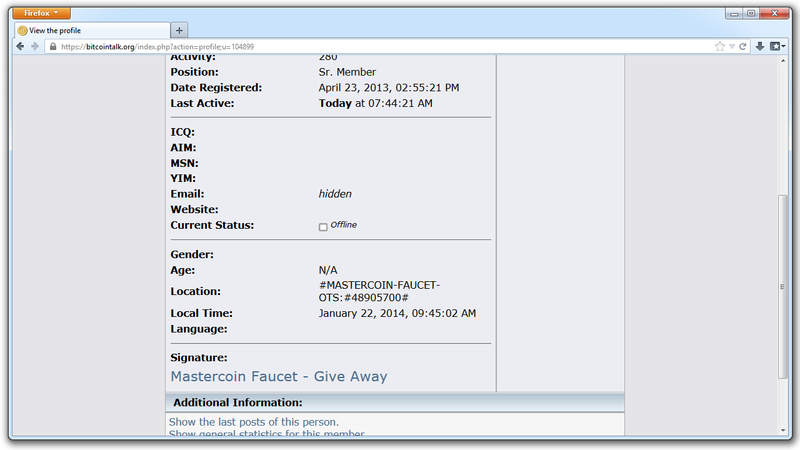 Receive 0.0025 MSC + 0.05 TMSC as reward. To redeem this reward you need an activity score above 10 as well as at least 10 posts and furthermore your account needs to be older than March 20, 2015. This is needed to confirm you as account holder and you can redo the change right after a successful verification. Please make sure the complete token is visible for anyone who visits your profile. When done, please submit a link to your bitcointalk.org profile. Feel free to delete the token afterwards - it's only needed for the verification.